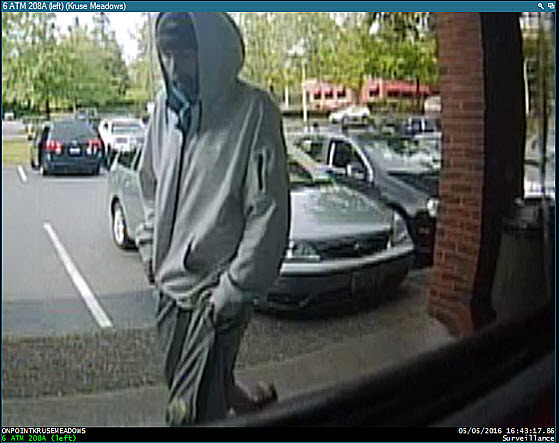 LAKE OSWEGO - On May 5, 2016, at 4:43 p.m., an unknown suspect approached a female victim as she was withdrawing cash from the ATM at OnPoint Credit Union, at 6300 Meadows Rd. The suspect tried to take the cash from the victim, and there was a brief struggle. 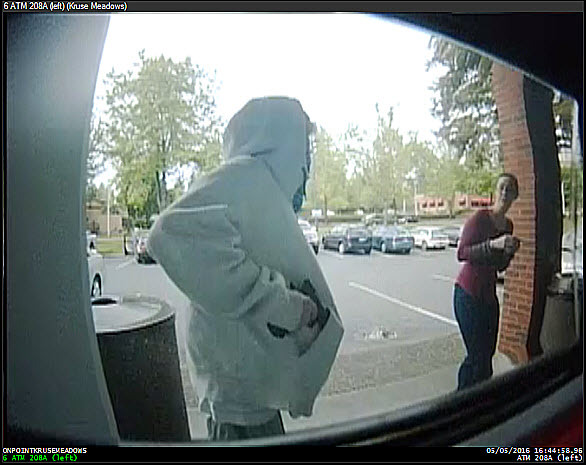 At that point, the suspect pulled a handgun from the front pocket of his hoodie and said, “Give me the money.” The victim handed the cash to the suspect who fled on foot eastbound on Meadows Rd. The victim was not injured during teh struggle. 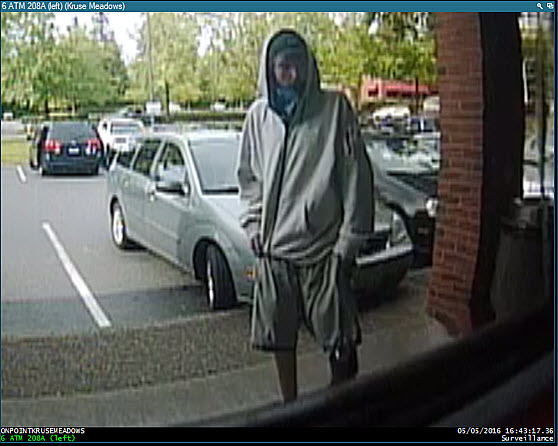 The suspect was described as a white male in his 20s, about 5’10”, slender build, with a white hoodie and baggy gray shorts. From the surveillance it looks like the suspect had a goatee or beard, he was wearing black shoes and his shorts were athletic style with black trim on the bottom and a black stripe up the sides. 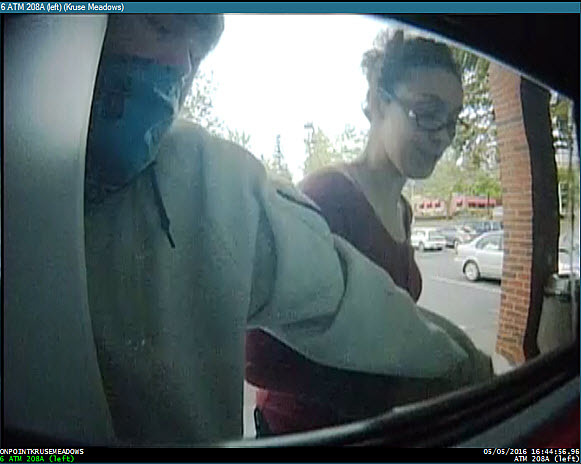 Anyone with information on the whereabouts or identity of this suspect is asked to please contact Officer Brandon Clausen at 503-635-0238.